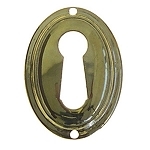 Horizontal Roped Oval Keyhole Cover Plate Escutcheon. 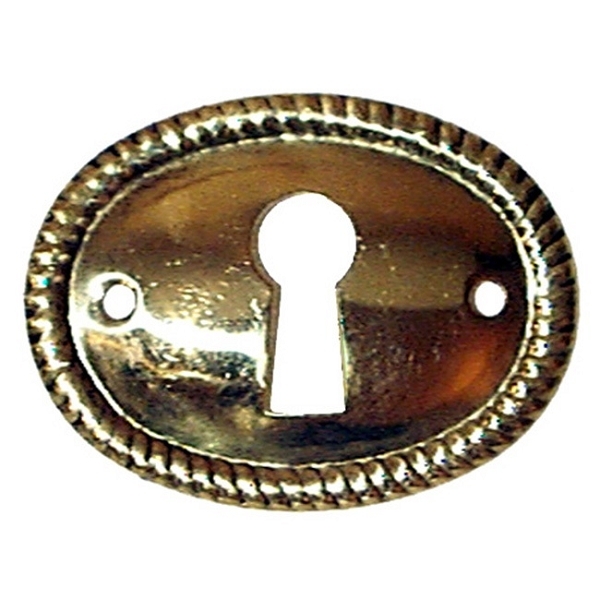 Solid, stamped brass construction available in Polished Brass (image 1) or Antique Brass finish (image 2). 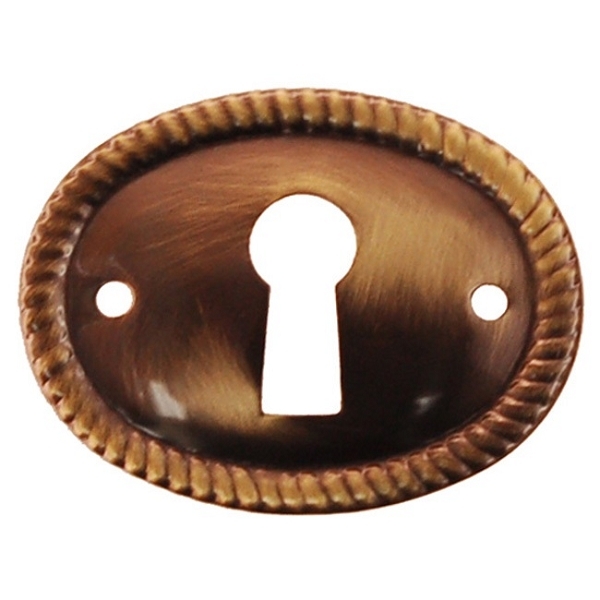 Measures 1 1/2 inches overall width by 1 1/8 inches overall height.